Whether you’re obsessive when it comes to keeping your life completely organized or you’re the freelancer with post it notes covering your office from desk to wall, organization apps can play a large role in helping our careers. Life can become a bit chaotic when your inbox has hit 120 emails before 11:00am and you’re unsure where you put the agenda book that lists your tasks for the day. One thing we can all agree on though, is that we always have our gadgets on us; be it our computers, tablets or phones. I myself am a stickler for organization and management so I was searching for quite some time to find the best gems for each category that would help maximize my daily routine, productivity, workflow and organization overall. I now rely heavily on them. I use quite a few of these apps and in turn would love to share them with you in hopes that they’ll help you out as well. I understand that there are so many more awesome apps out there and if you agree, I hope that you’ll share. I’ve organized them in categories to assist you in narrowing down your search. 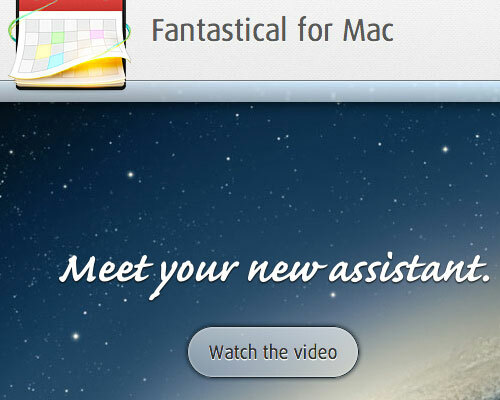 Most may argue that Fantastical is the best calendar app on the market right now for Mac. It’s ease of use and attractive interface makes using the app a pleasure. Adding new events is extremely simple and fast, making sure not to steer you away from what you were doing in the first place. Allowing you to customize your calendars look and feel to suit your needs will definitely have you dependent on this app and saying goodbye to the native iCal. As it stands, Clear currently has one of the cleanest interfaces of any To-Do list app out there. It’s beautiful gradient, variety of color and white text make it difficult to look away. With its awesome gestures and simplicity, swiping through to new lists, adding new tasks and syncing across your devices has never been easier. 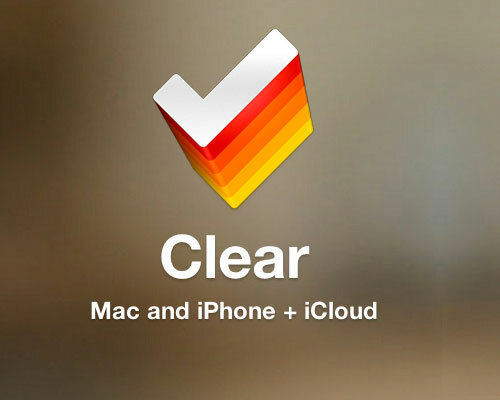 Clear makes creating a to-do list an easy and fun task. Wunderlist was an app that I relied heavily on at one point and occasionally get sad that I’ve migrated to another app (and now I’m contemplating going back again, great). 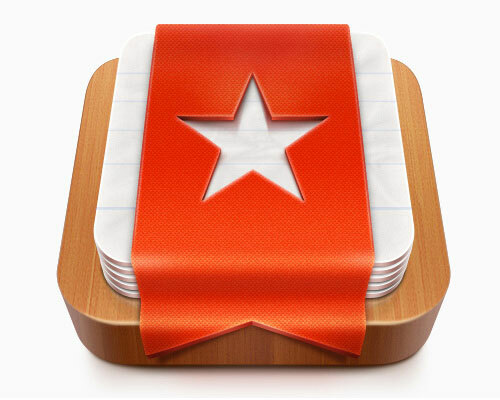 With a flawless user interface Wunderlist has everything a user can want. Create big project tasks and assign smaller tasks within, set up in depth reminders, and the take advantage of the ability to collaborate with friends Syncing across multiple devices, keeping your lists safe with security features, and push notifications allow you to never miss a beat. Available for Mac and Windows, iOS, Android and Blackberry. 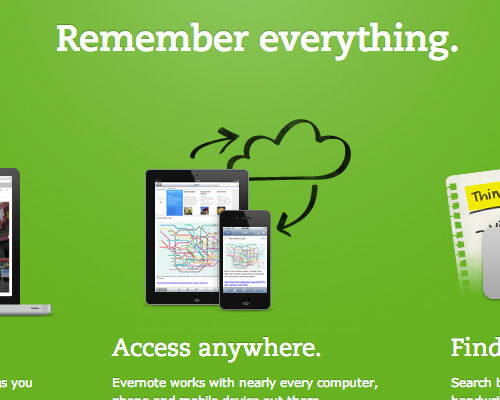 Evernote is one of the most intuitive apps on the market. Allowing you to capture virtually anything your heart desires makes this app one of the best for remembering and organization. Save the latest font you saw while browsing the web in case you want to use it on your site, bookmark that song you loved, or save that link about the best ways to manage your money as a freelancer. Become even more organized by creating lists to keep your recent bookmarks much neater for when you refer back to it later. 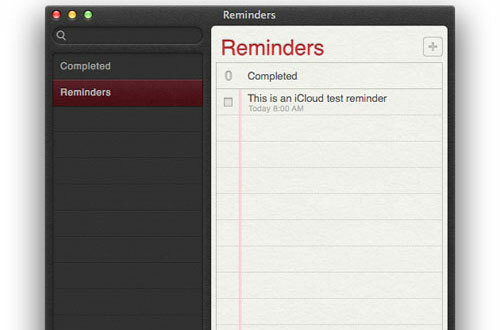 The good ol’ trustee Reminders app for OSX and iOS. Some of you may be cringing at the thought of using this versus all of the other awesome task apps that I’ve listed and I can see why. However, Reminders is the app I use and I use it non-stop, all day and night. For me, Reminders is extremely basic and that’s what I love about it. It’s syncing across devices and integrating with iCal allows me to keep track on the go and not have a worry in my mind. Believe it or not, it’s skeuomorphic design of a piece of paper and overall simplicity really appeals to me. I love opening the app in every one of my devices and I’ve found that I simply cannot function on daily basis without referring to it. I just recently stopped using harvest (only to give our next runner up, Ball Park, a try) but honestly love everything about the app. 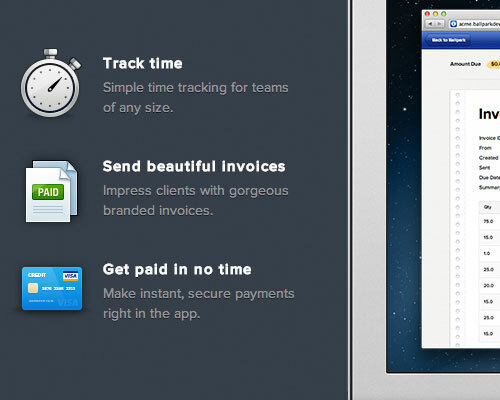 I was quite picky when it came to finding a Time Tracking and Invoicing app that I liked but harvest does it all. It’s ability to add users to the team projects and integrate over 50 business apps allows setting up your and your teams’ new business, a hassle-free project. The ease of use and colors throughout the site are very appealing, and have always made me want to continue clicking through in hopes of finding new and beautiful visuals. Most importantly its easy time tracking and invoicing allow you to log your hours in an extremely simple way, customize and send invoices to clients, and accept payments all through Harvest. Before using BallPark I was unsure what to expect, but it’s features in comparison to most Time Tracking apps out there, are nothing less than amazing. I absolutely love the fact that it’s packed with a ton features but remains so simple and feels so light when using it. 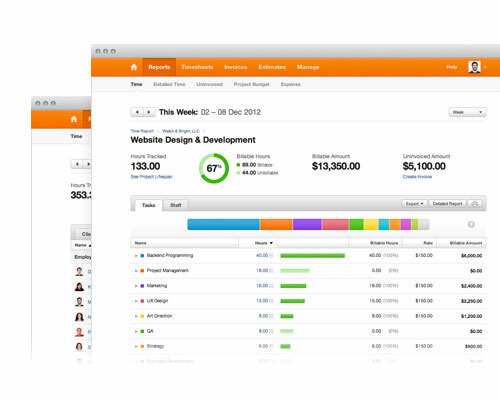 It’s awesome insight reports allow you to see all of the data you need to always remain up to speed with your business. Accept payments without ever leaving the app. Customized invoices are sure to wow your clients and being able to sync with your iPhone ensures your business never goes unattended. 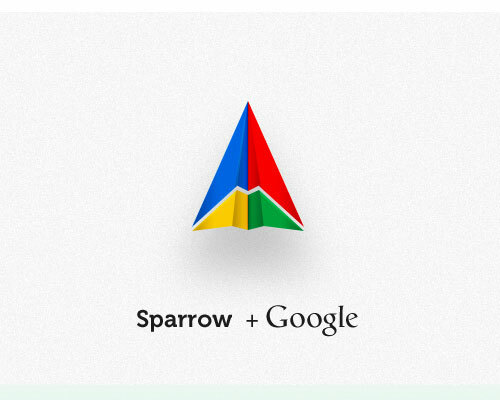 Sparrows’ clean and right to the point interface is sure to attract all users. It’s ease of use makes navigating through folders and an abundance of emails extremely simple. If you’re a facebook, cloud, or dropbox user, be sure to link your accounts and have full on integration. Sparrow for Mac has its iPhone app counterpart and the rich blue colors are simply gorgeous. Using the iPhone app is just as easy and a pleasure as the mac app. 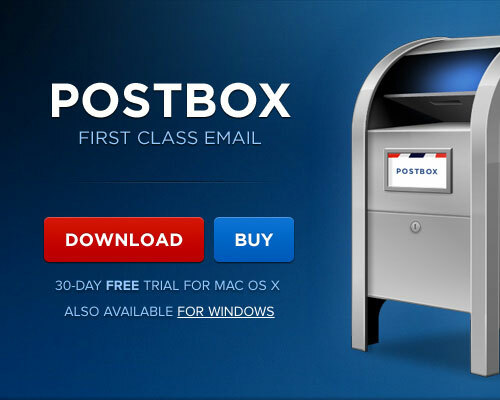 Although it does not have an iPhone app, Postbox still does not fall short next to Sparrow. It’s own features keep the app neck and neck in the race for the better mail client. It’s seamless email, social and dropbox integration make using the app very easy and organized. Although not as visually appealing with a large amount of colors, it’s simple style and ability to be all encompassing when it comes to sending and receiving email makes this app a great one and a must have in my book. If you’re as much as a stickler about tracking your finances as I am, then this is your app. Aside from mints beautiful and calming interface, it’s all encompassing finance features allow you to integrate your bank accounts, upload all of the financial information you would like and track your spending so you never have to end up dealing with unpaid vat. Set up alerts to ensure you’re always informed of the latest news about your account. 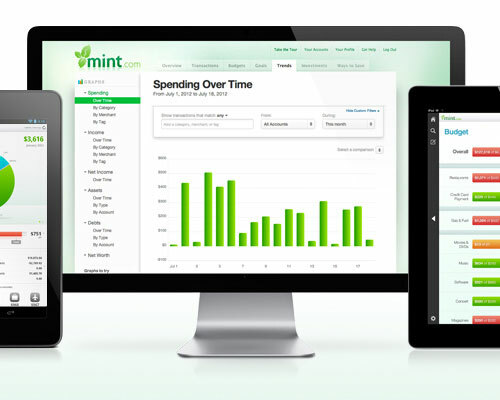 Be sure to review the graphs that Mint organizes for you through categories, giving you the capability to always track where, when and how your money is being spent; now and over the course of time. It’s safe and speedy updates will never leave you in the dark about your finances. 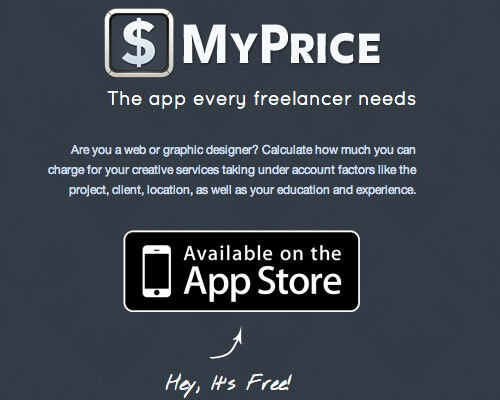 If you’re a freelancer, this app is the one for you. Although it may take some getting used to, the app assists the user in coming up with an accurate rate to charge clients for their services. Plug in data about your project to get an accurate reading of what you should roughly charge. Receive tips weekly to help achieve your goals. If you’re a fan of the app, be sure to keep a look out on the new feature being added soon…JOBS. Yes, pretty soon you’ll be able to find jobs in your field all over the world. 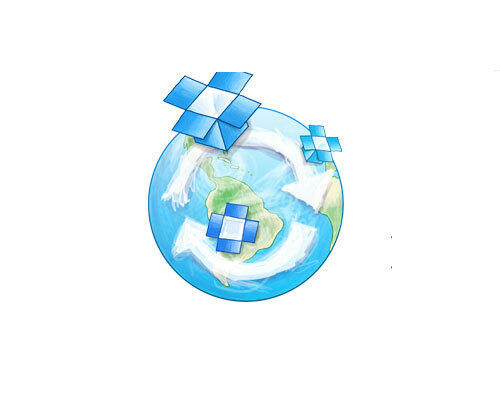 Dropbox has become a necessity to a wide variety of people in and outside the design and development community. It’s simple, its easy to use and can be used on virtually any computer, tablet, and smartphone. 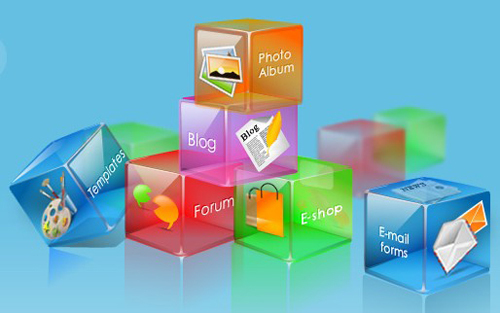 Create folders according to your needs, easily download, upload and open files on the go. Be sure to share them with others if they want or need to have access to the content across their devices as well. Up until recently I hadn’t had a great app to save links and read later with. 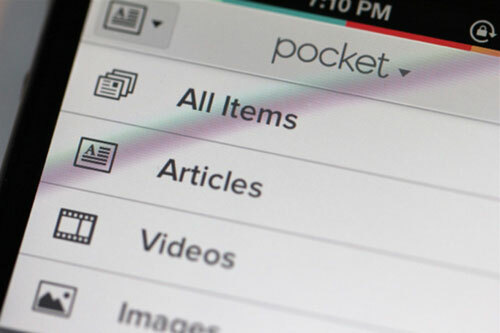 Pocket is, in my opinion, the best tool to do so. It’s easy to use, ability to tag saved links for easy referral, share options and beautiful interface make this a gem. 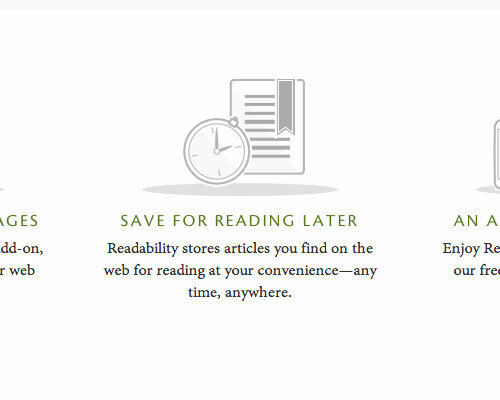 Readability is as simple as it gets but packed with a ton of apps that you’re able to use it with. It’s integration allows you to add your posts that you’d like to read later from a wide variety including Flipboard, email, your browser, and even a number of Twitter apps. 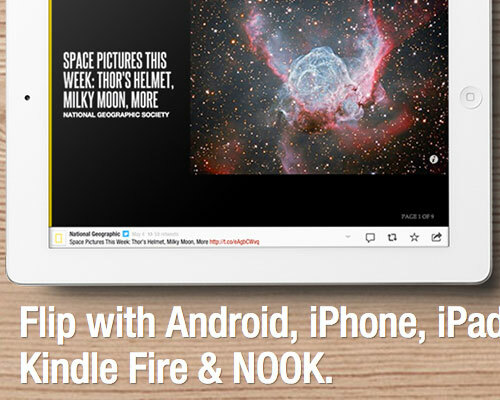 Flipboard is the go to app for all news in every category. It’s gorgeous gestures make each use of the app just as fun of an experience as the last. Social integration pulls your latest news feeds from Facebook, Twitter, Instagram and more. What more reasons do you need? Within the one app, you’re able to view a ton along with a great experience from a gorgeous app each time. At the end of the day, some people aren’t app people or just cannot get into the groove of using these organizational apps. I always am an advocate for the paper and pen. Keep a book on you at all times and be sure to write down any and everything you can to ensure you’ll have information to refer back to. If there were any apps that I missed or that you’d love to inform everyone about, be sure to share them! Cat Smith is a Web, UI designer and blogger from New Jersey. When she's not creating new designs, you can usually find her talking about anything related to the field on Twitter . You can also check out her portfolio to see what else she is currently up to. Instapaper is definitely a good app but compared to those listed, I felt like it just didn’t compare. Maybe personal preference. It’s a great app to have though! Thanks for suggesting it.